This month's article will focus on the Heathrow Express, an express train line that operates between Heathrow Airport and Central London. Purchasing your ticket is easy and simple! Here is co-author Kandace Tabern at the ticket kiosk at London Heathrow Station. One of the greatest challenges (or should we say frustrations!) about traveling to just about major metropolitan area... whether it's the United States or the United Kingdom... is how to get from the airport to the city center. For example, if you arrive at Chicago's O'Hare Airport, you know that you are in for a very slow ride on the CTA Blue Line to reach the downtown area. There is not going to be a proper place aboard for your luggage on the train... and the 20+ stops between O'Hare and downtown are just annoying if you're in a crunch for time. And this is the best way to get from O'Hare to Downtown. Try driving... and you're stuck behind the wheel on the Kennedy Expressway sometimes for upwards of two hours. The same can be said about arriving in New York City at La Guardia Airport. The best way to get to Upper West Side of Manhattan might be a long ride on the M-60 city bus, or riding a different city bus route and having to make an inconvenient transfer to the MTA subway train. Wouldn't it be nice if there was a better solution? 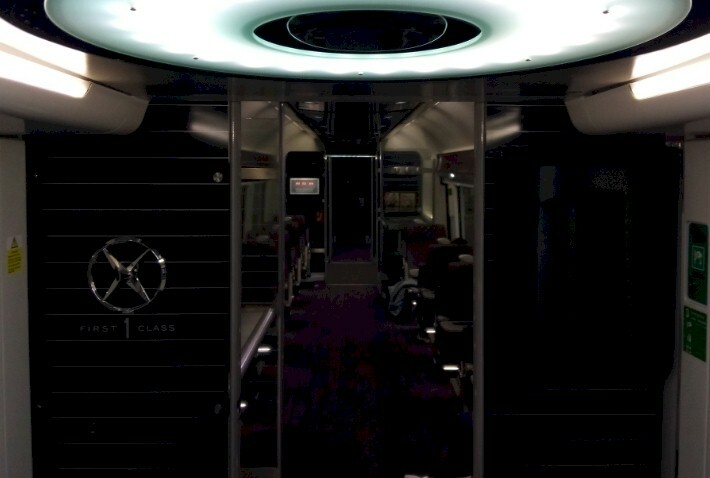 A real "First Class" way for one to travel from the airport to city center quickly? 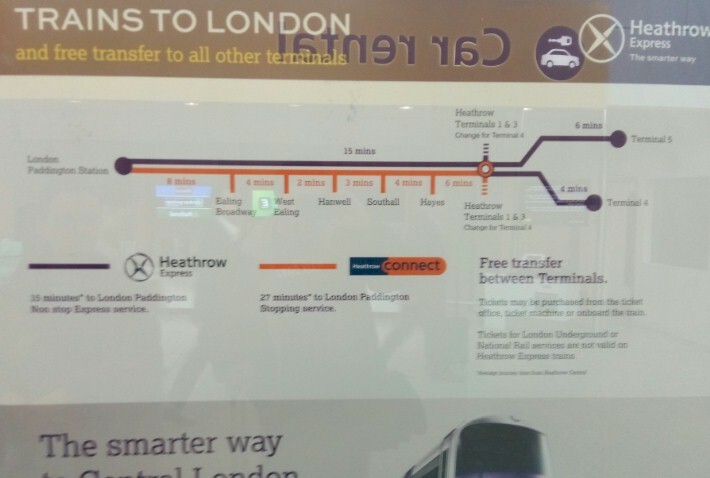 Well, London has simply nailed it with their Heathrow Express train service! After riding, we definitely recommend it. If you are flying into England like we did from the United States, chances are you will be passing through London's Heathrow Airport. Sure... you can take the subway (or "tube"/"underground" as it's called in the U.K.) between Heathrow and the downtown area... but you are going to face the same challenges mentioned above. A super slow 51-minute ride on the subway with no place for your luggage... or 42 minutes and a lots of traffic from a taxi. Or, you can splurge and buy yourself a First Class ticket on the Heathrow Express. We're talking a 15 minute ride from the Terminals #1/#2/#3 stop; nearly one-fourth the time of the subway and nearly one-third the time of the taxi! 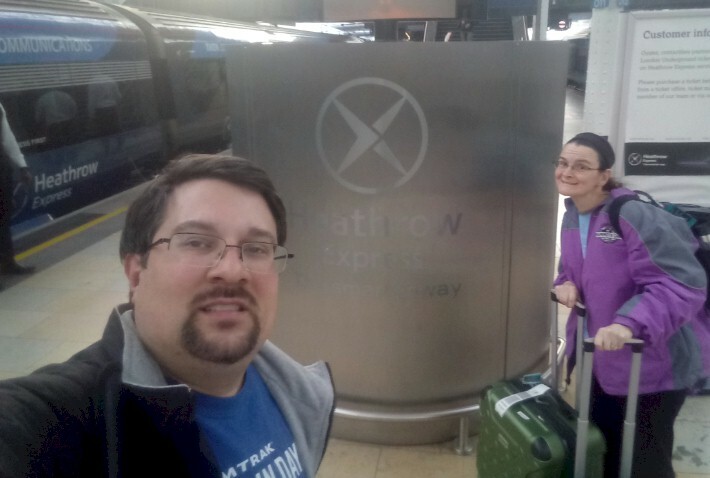 Before we get to details on our trip, let's chat a bit about the history of the Heathrow Express train and where it operates. Compared to some of the other railroad lines we visited, the Heathrow Express is a relative baby... in fact... officials told us that construction on the project did not begin until 1993. 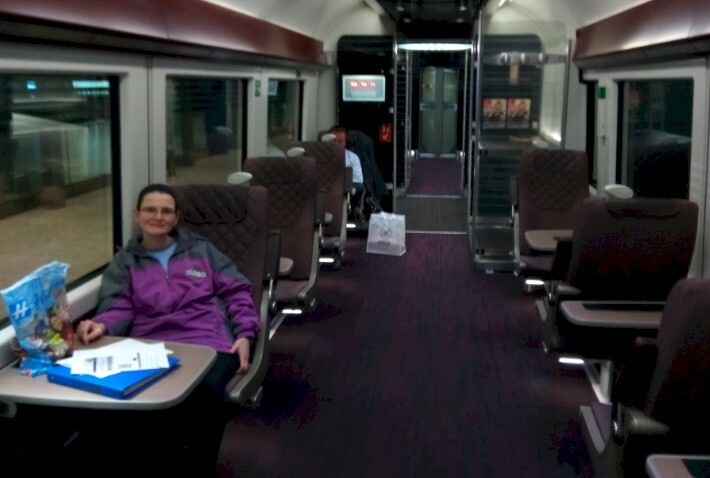 For the first 12 miles between London's Paddington Station and Airport Junction, Heathrow Express trains operate over a railroad line that existed for many years; it is owned by the Great Western Railroad (or GWR). (We will delve more into the history on the GWR in a future Trainweb article, as we spent a day riding this line to Cardiff, Wales.) At Airport Junction, Heathrow trains diverge from the GWR to enter a five-mile tunnel to the airport's central area. 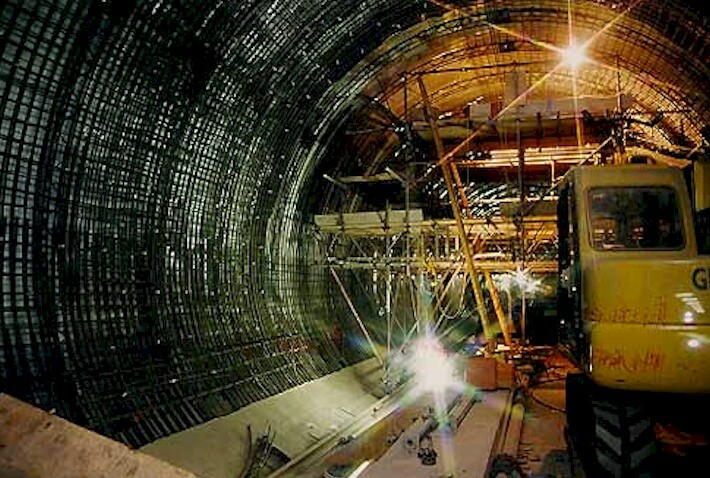 The significant challenges faced in the start-up of the Heathrow Express service included the electrification of the GWR line to Airport Junction... and building the tunnel to the airport terminals. Full service began June 23, 1998. 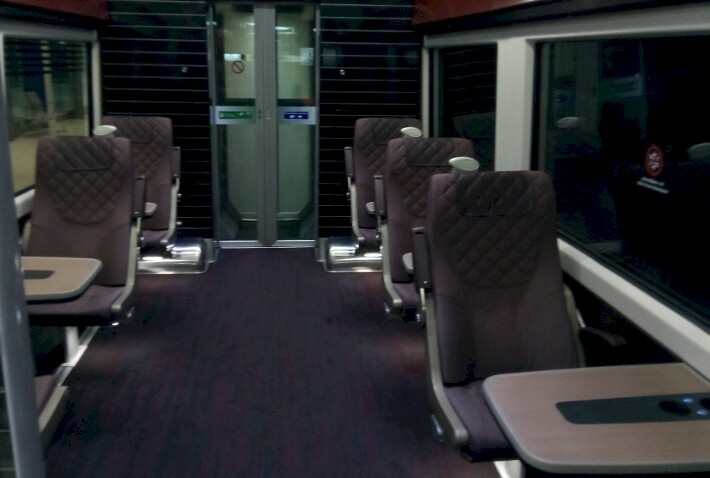 By now, you are probably asking about the equipment that is used on the Heathrow Express. The railroad owns 14 four-car Class 332 trains engineered and built in 1997 and 1998 by Siemens Transportation Systems in Germany, in partnership with CAF of Spain. Each car (or "carriage" as they are called in the U.K.) features considerable space for baggage, and all seats face the nearest baggage area. 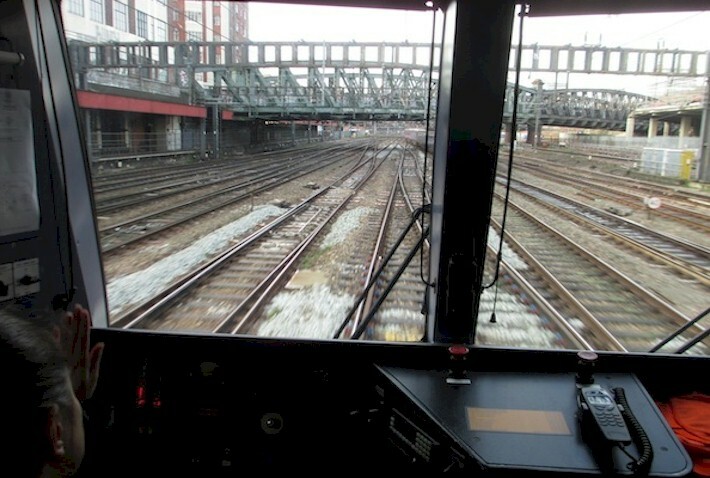 We were told that extra cars have been delivered to extend some Class 332's to five cars, a reflection of how the service has taken off since 1998. Currently, nine trains have four cars... and five trains have five cars. 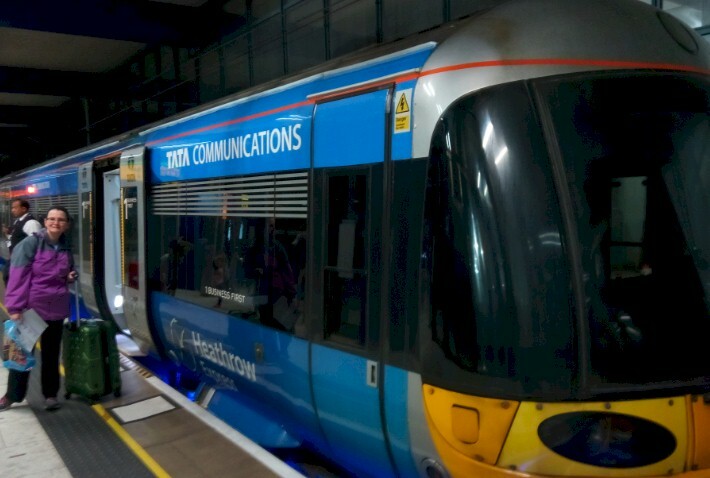 Siemens has a contract to provide maintenance service for the Heathrow Express fleets at the purpose-built facility at Old Oak Common, north of the GWR main line. 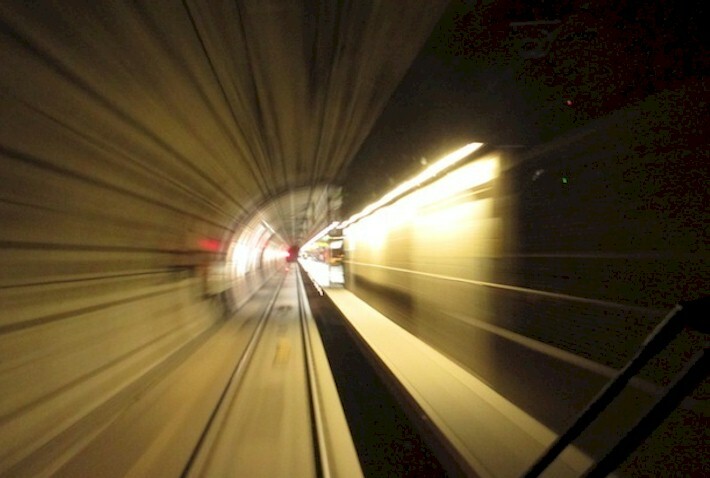 Modern technology built into the cars include the ability to use mobile phones throughout the journey, even in tunnels. There are also monitors in each car, which appeared to mostly be used for advertising and for news and weather updates produced by BBC World News. 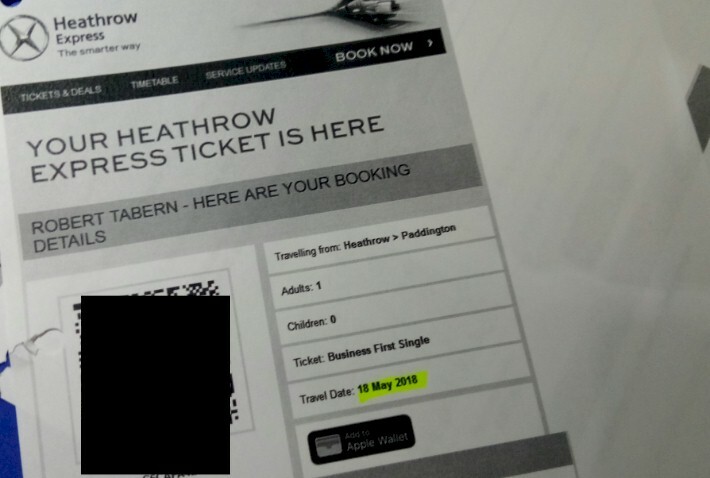 Ticketing for the Heathrow Express was very easy. 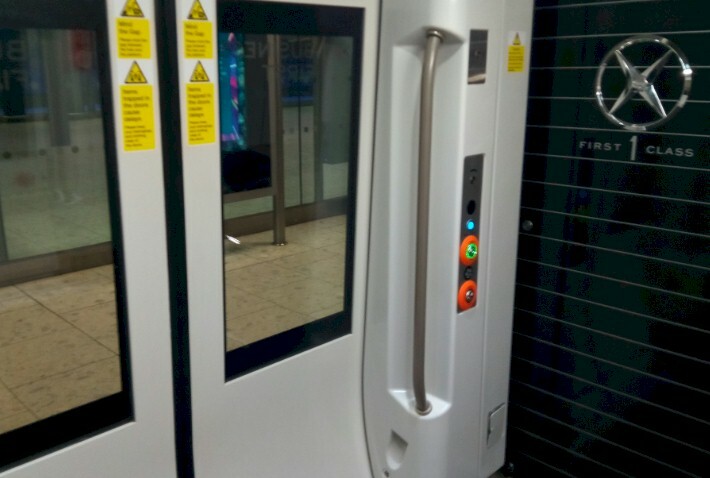 They can be bought at the two Heathrow Airport stations, Paddington, from ticket sellers in the arrivals halls at all terminals, on board the train, online or using mobile applications for Android and iOS devices. Express Saver and Business First tickets are valid within three months of date of travel and return journey valid within one month of outbound journey. 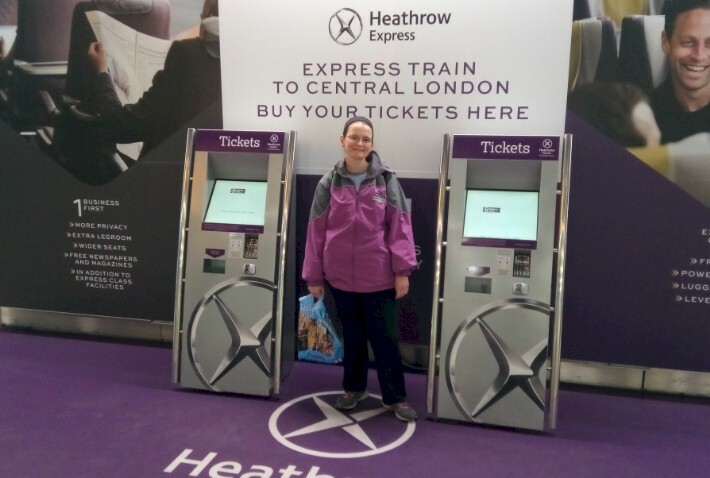 Ticketing for the Heathrow Express is fast and easy! 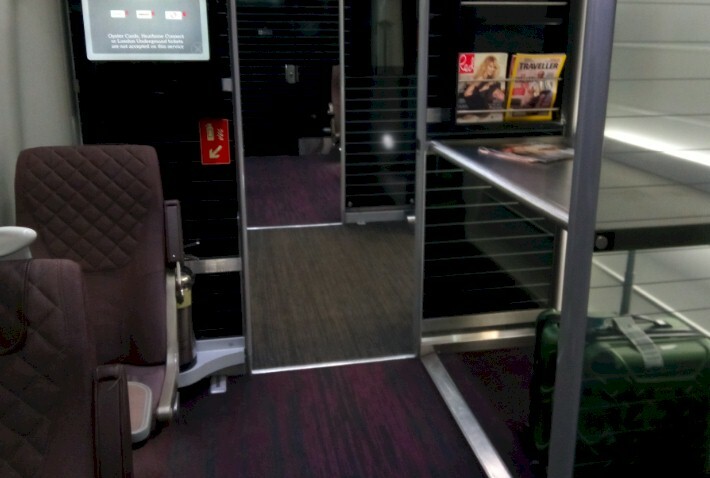 If you simply just want to "check out" the Heathrow Express train, you can actually ride it for free in the Express Saver Class (coach) between the airport terminals at Heathrow. The train begins at Terminal #5 and it is about a six minute ride to the stop for Terminals #1, #2, and #3. Of course, the service is so nice... and the ride so smooth.... it would be hard to get off... you'll want to continue on to London-Paddington. 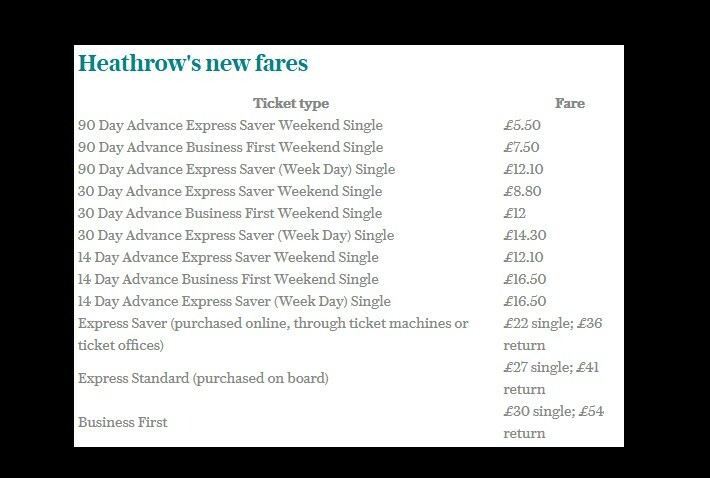 An actual paid ride between Heathrow and London-Paddington Station can cost someone as little as $7.35 USD. This fare is for Express Saver Class... and you will need to purchase your ticket 90 days in advance and are limited to riding on the weekend. If you purchase your ticket for Express Saver Class online, through a ticket machine, or at the ticket office for a weekday ride, you are looking at $29.40 USD per person for a one-way ride. 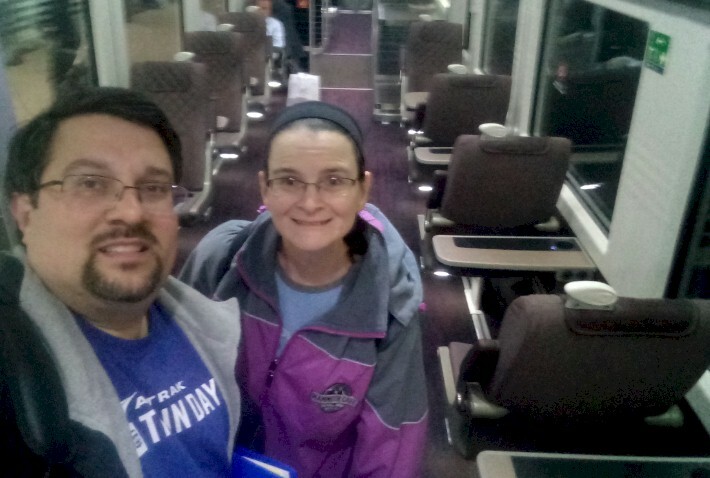 We decided to splurge and check out Business First Class, which typically costs $40.10 USD per person for a one-way ride, or a little over $72 USD per person round-trip. Some have said that paying $40.00 for a 15-minute train ride is a bit extravagant... including critics who call it "one of the most expensive train rides per mile anywhere in the U.K., and perhaps the world." Welcome to London! 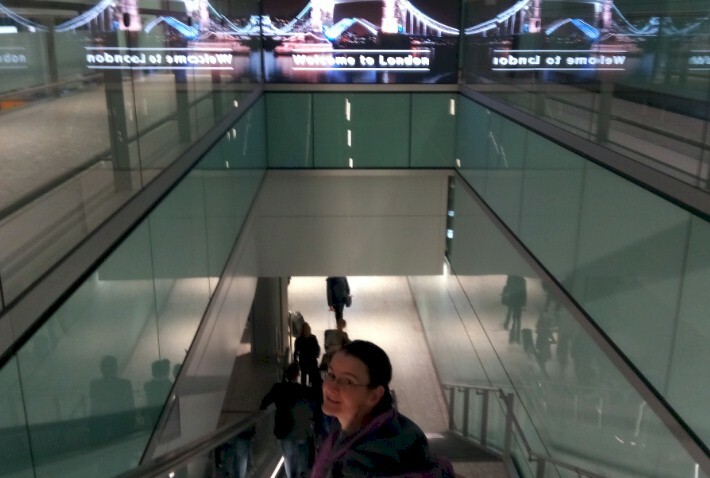 Kandace makes her way through Heathrow Airport to the train. We loved even the elevator buttons! 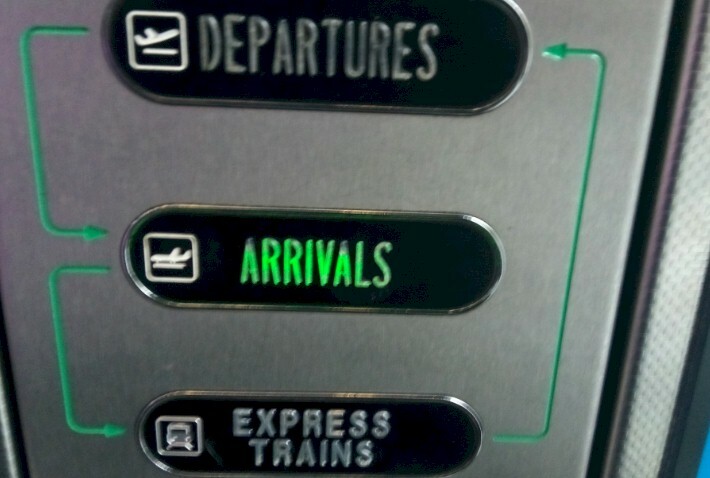 Departures, Arrivals, and the Express Trains! 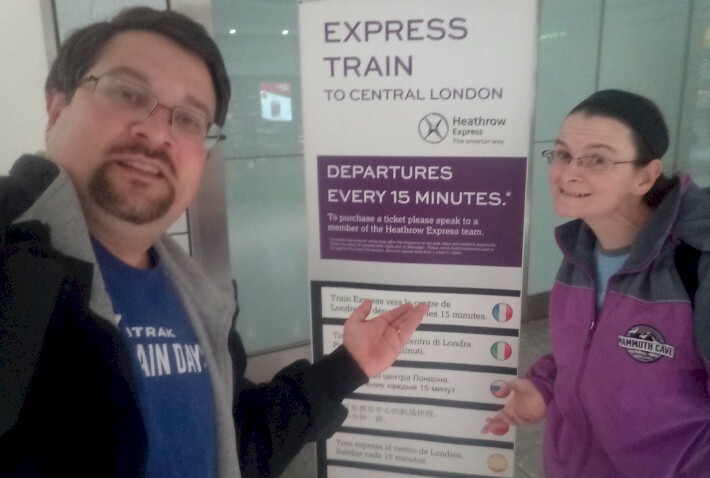 Heathrow Express is the only way we'll travel -- express trains run every 15 minutes most of the day! 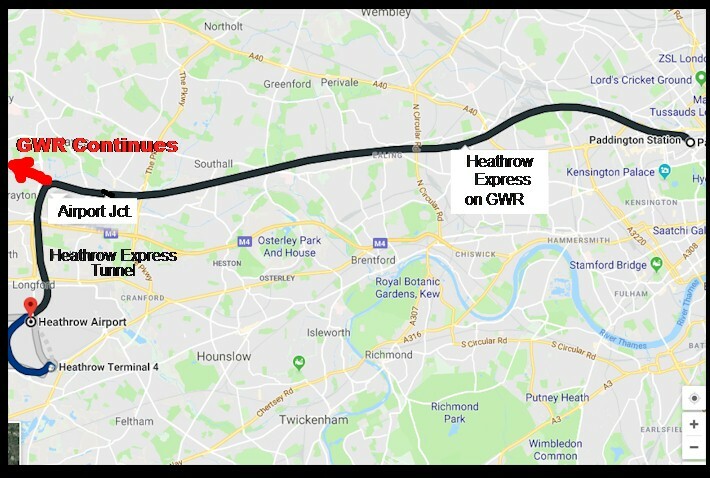 Map showing the route of the Heathrow Express -- it was 6 minutes from Terminal 5 Station to Terminals 1 & 2... then just 15 minutes to London! There are even magazines and newspapers aboard to help pass the time -- look on the right at the spacious luggage racks! All Aboard -- doors closing! The train is about to leave London Heathrow! Even though the cars were almost 20 years old -- they still looked brand new and modern... almost like something from outer space! So... our final thoughts? 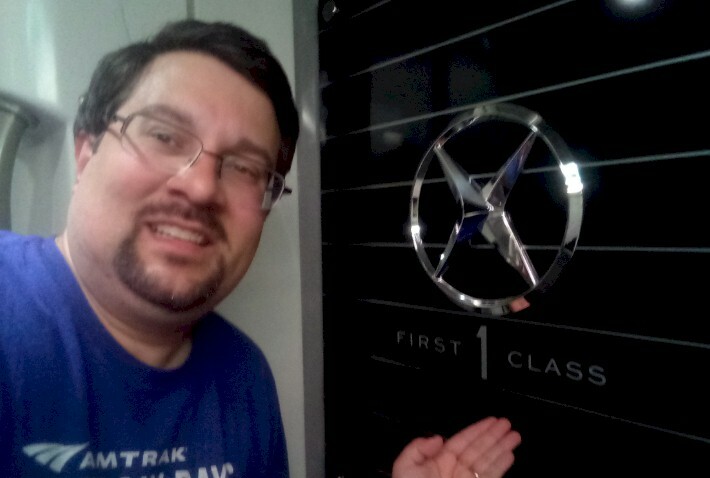 The Heathrow Express can be a little pricey, but hands down its THE BEST mode of transportation from the airport. The nearly 17,000 passengers who ride each day prove this to be true. 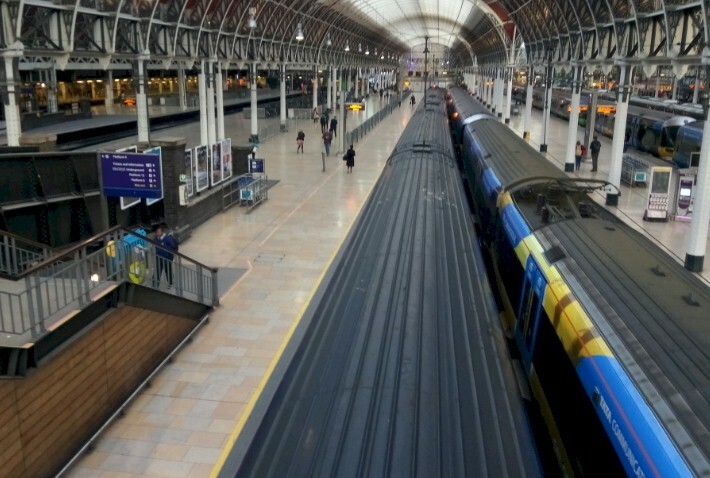 It takes you right to Paddington where you can go anywhere in London, and close surrounding areas. It’s clean, fast and not crowded during certain times of the day. 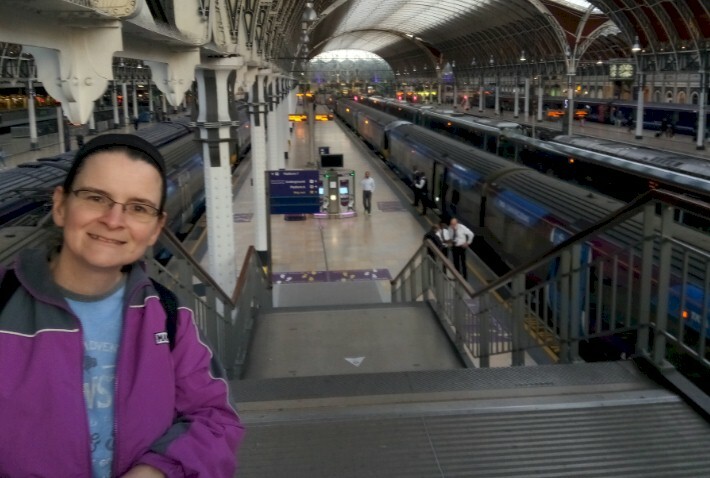 One of the other nice things we liked about Heathrow Express is the excellent attendants who were out on the platforms at both the airport station upon boarding and at Paddington upon getting off the train. Being a little tired from the long flight/jet lag and this being our first trip to London, we got a little turned around at a few points. The attendants were very helpful and were able to point us in the direction of our hotel. This is something you most certainly wouldn't get taking the subway. 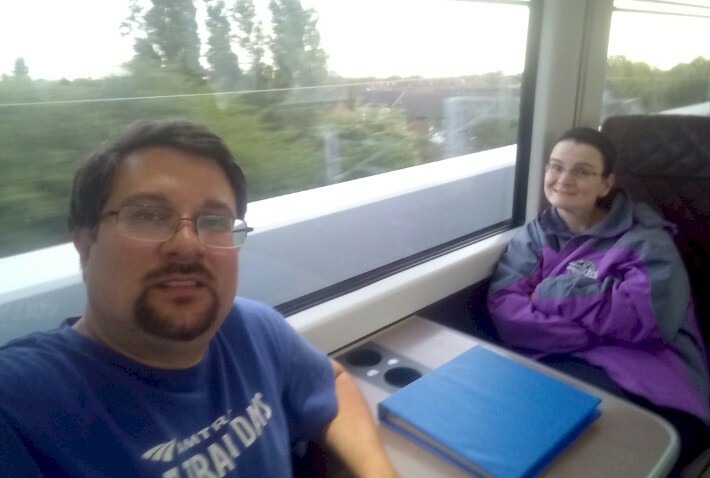 We would like to take a minute and thank Nathan Harrison, who is the Communications & CSR Officer with Heathrow Express for all his assistance with this article and during our visit aboard the Heathrow Express train. 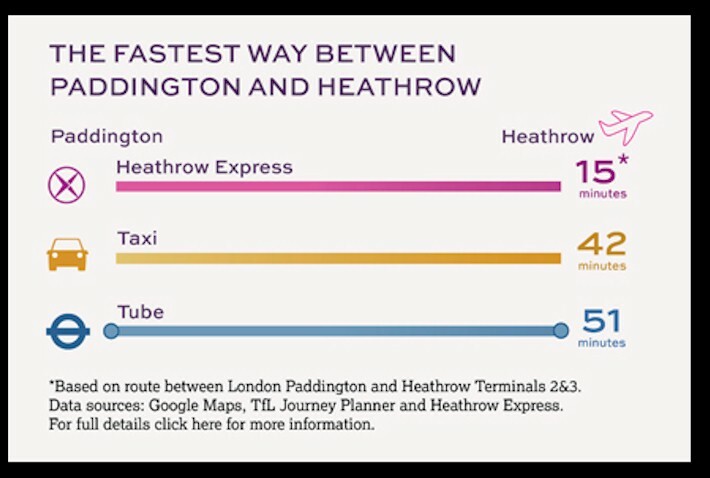 Up to 150 Heathrow Express services run every day. 97% overall customer satisfaction in the latest independent National passenger Survey February 2017. 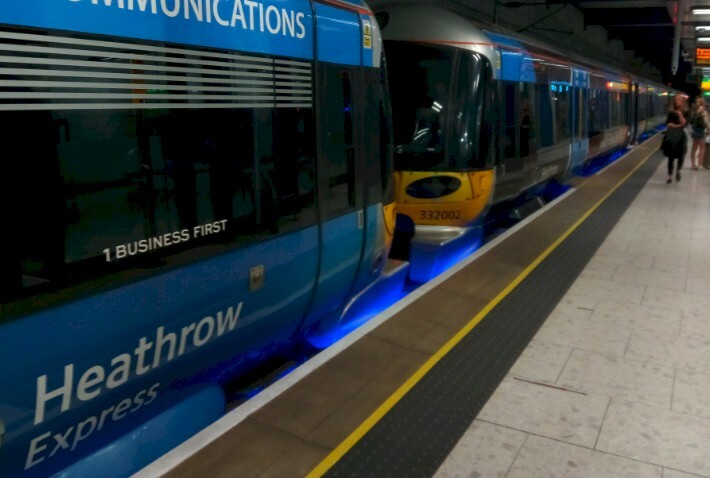 Over 100 million passengers have boarded Heathrow Express since launch in June 1998. Children 15 and under travel free. You can book online 14, 30 and 90 days in advance and save up to 75% with our special advanced fares. Free Wi-Fi and super fast 4G onboard for the entire journey. Power sockets are available for charging mobile devices (don't forget to get an outlet converter if you travel from the US!). Ample luggage space throughout the train. Best value Carnet (multi-trip) tickets available for frequent travelers. Business First class offers more privacy, complimentary newspapers and magazines and a table to work from. First train company to launch e-ticketing so customers can could buy tickets online. They are then sent a barcode by email or text to present for scanning on board the train. Our trains have saved enough energy in the past decade to have boiled 400 million kettles. Heathrow Express has saved 204 million kg of carbon emissions since launch and offers customers a 54% reduction in carbon emissions over a taxi. In December 2009, Heathrow Express made Paddington station the first UK railway station to offer Flight Information Display Screens and Airline Check In Services. First UK train company to launch a fully functional train ticket app, allowing customers to purchase and receive tickets direct to their iPhone, Android, Blackberry or Java-enabled phones. Finally, If you enjoyed our writing, we would also encourage you to check out the 11 "Outside the Rails" railroad route guidebooks that we published for the various Amtrak passenger rail routes through the Upper Midwest. They are available on our website, www.MidwestRails.com. Our new e-book versions and train guide podcats are also available here. We also feature the guidebooks written by Eva Hoffman for various Amtrak railroad lines in the west and east!